Toyo Steel is a manufacturer that specializes in toolboxes. A single sheet of steel is pressed to create this sturdy toolbox. The handle and corners are rounded for safe and easy handling, while the lid and body are attached without the use of hinges. 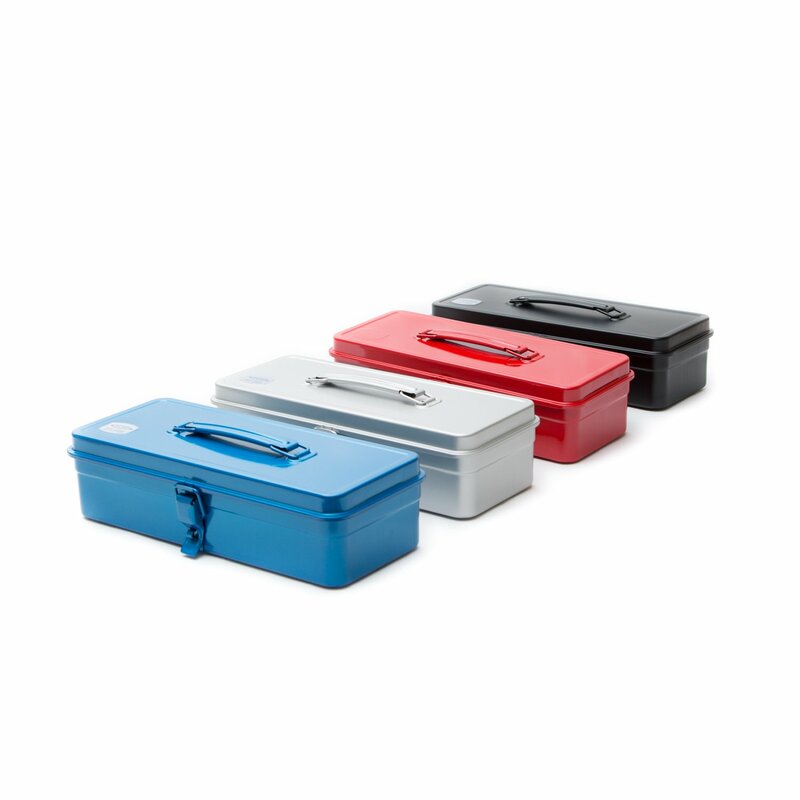 Durable, sturdy, and lightweight, this toolbox was designed for convenience and easily portability.